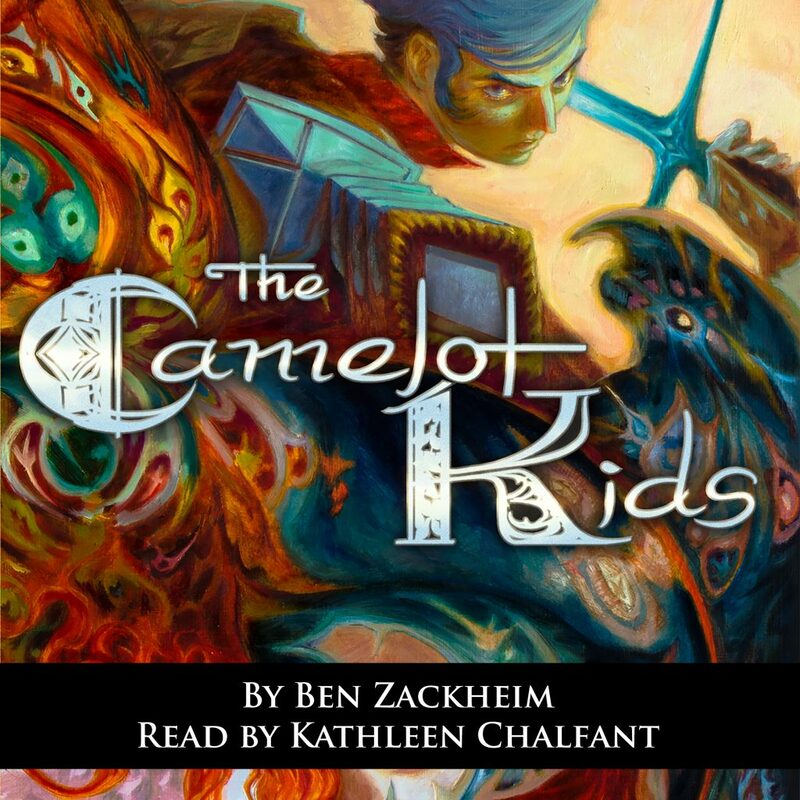 Kathleen Chalfant reads The Camelot Kids! Here’s a lovely audiobook cover illustration by Ian Greenlee. I’ll always be thankful to Nathan Fox for introducing us. 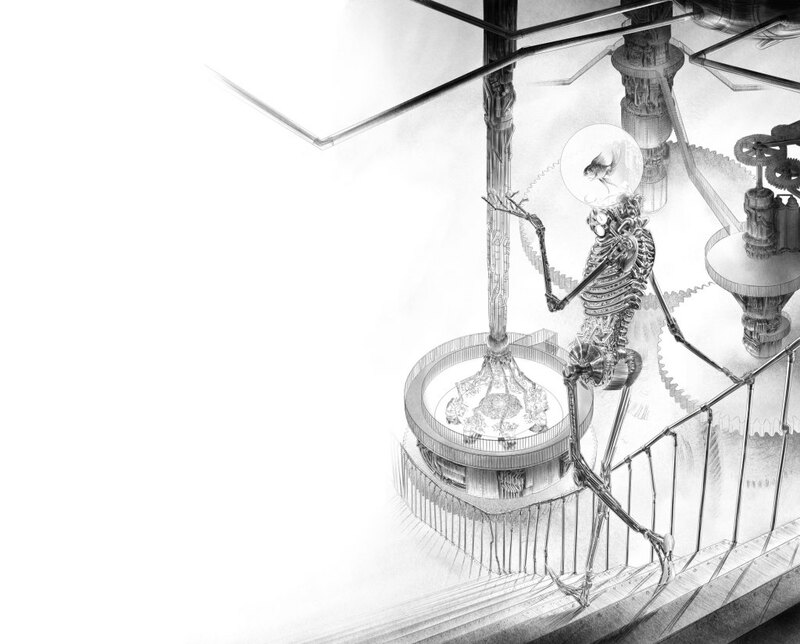 Oh, and there’s much more to the image, by the way, which I’ll share later this week as we get closer to the audiobook launch. I’m so honored to have had Kathleen Chalfant on this project. I’m writing a post about the experience. It was 10 days of my life that I’ll always cherish. In the end, it was the ultimate New York City story. I look forward to sharing it with you. She’s theater royalty (I’m sure she hates that term — but it’s true!) She brought so much depth to the characters and the story. I hope you enjoy listening to it as much as we enjoyed recording it. 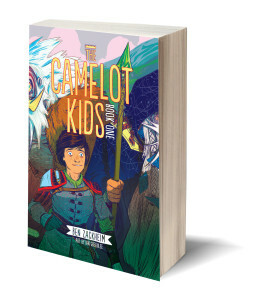 Here’s an excerpt from The Camelot Kids: Book Two. It’s Simon’s birthday but he doesn’t want to tell anybody. Can he keep a secret in a place like New Camelot, where a secret is just a spell away? The day started as all other days did. Simon sat up as his internal clock rang. Training started at daybreak and he enjoyed hitting the dining hall early so he could have some time to hang out with the staff. Taithleach Morecraft was the boss of the team and one of Simon’s favorite people not only because she gave him the most delectable donuts in existence (”basted in a butter spell!”) but because she was the most honest person he’d known since Sister Alphonsus. Ms. Morecraft never hesitated to sit someone down and talk some sense into them. When they first met she spotted a lot of nonsense going on around him and, being Ms. Morecraft, she got involved. The Dim Bulbs, as Simon called them, led by Eric, were a nasty bunch of kids who focused their nastiness on Simon. They didn’t care that he was, technically, their superior and was destined to lead them into battle. Whenever there wasn’t a teacher present they’d let loose on him and his friends with no mercy. 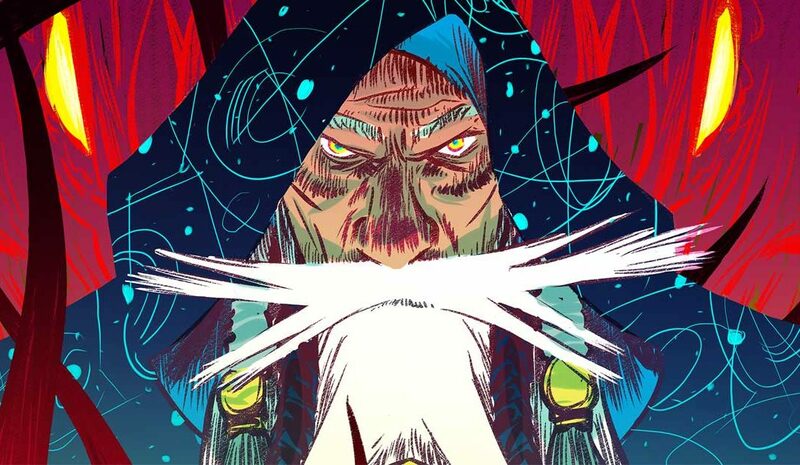 Recently, things had moved from a mischievous to dangerous. Within the last week the Dim Bulbs had settled into a routine of tracking Simon, Russ or Josh and striking when they were alone. Russ ended up on a flying chair with no idea how to control it. He was ten thousand feet in the air when Maille Rose finally found him, cold and petrified. Simon was still determined to get back at Eric and his goons. But he wouldn’t tell Ms. Morecraft that. “You’d best not be doing yer plottin’, boyo,” she said to Simon as he sat down at the humongous round table that seated 150 hungry teens. No one was there yet except the two of them, which was fine with Simon. Ms. Morecraft sat down next to him and snagged a slice of his toast. “I’m not doing anything, Ms. Morecraft. Just eating my donut.” He batted his eyes innocently and she nudged him in the shoulder. “You know you can’t lie to me, Mr. Lancelot-Sharp.” He cringed. He hated that name, but Ms. Morecraft was determined to remind him as often as possible that he was the descendant of Sir Lancelot. 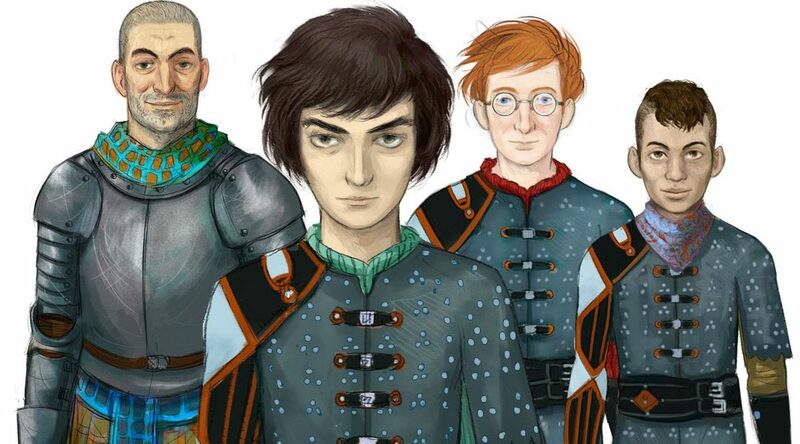 Or something more, if you believed his father and Merlin. To them, Simon was Lancelot. He was the knight reborn. To them, Simon was doomed to an identity and a fate that he had no control over. It was all enough to even make donuts taste duller. “That stunt they pulled with Russ and the magic chair could have killed him,” Simon said. “Ouch,” Simon said. That got him. He’d do anything to get his hands on those bagels. Ms. Morecraft had learned the recipe after she’d heard how Simon missed one thing (and one thing only) about New York. The bagels. So she had Merlin send some folks through a Lazy and bring back samples from the city. She experimented with 459 combinations of dough and accoutrements to concoct the most perfect Everything Bagel ever baked. And she used them to bribe Simon all the time. “How’s Gwen doin’?” she asked, clearly confident that she’d made her point. “I think it’s more complex than that.” Talking about it meant opening up some old wounds. But Ms. Morecraft was a pro at doing that. She was also good at treating the pain. He glanced up and saw that she was waiting for him to continue. “I just think it has to do with the gold tree.” That golden tree, that trap laid by his father to attract the dragon army, was always present. It lingered over Simon like a ghost. It was a reminder of his father’s betrayal, a reminder of his own bad judgment, and it had been the one thing that brought Simon and Gwen together. Until the dragon’s attacked and ruined everything. A silence took over the huge round room. Only the morning fires in the seven fireplaces surrounding them made a sound. Their crackling and popping provided some small sense of comfort. “I know yeh are. You sure you don’t want me to teach her to bake white chocolate cookies?” Simon smiled and shook his head. Ms. Morecraft insisted that cooking cookies “with love” was a potent love potion. Her plan was to teach Gwen how to bake them and keep the casual conversation on Simon. Simon thought it was unfair but to Ms. Morecraft, it wasn’t a magic spell. It was just a way to clear the path between someone’s feelings and their love of the sweetest cookies ever. That sounded like magic to Simon. “I’ll leave you in peace. Enjoy it ‘cuz you only have seven seconds of it left.” Simon followed her stare and saw Russ and Josh shuffling toward him with their standard morning gait. Which was like a couple of zombies. “Hi guys,” Simon said, adding as much chipper to his voice as he could, just to annoy them. “Enh,” they both grunted. His joy was their poison. Simon smiled and slid the toast down the table. It darted toward the edge but when it was about to fly off the table, Josh quickly snagged it and grabbed a slice in one elegant move. His eyes still at half-mast, he glared at Simon, silently daring him to try that again. So he did. Simon lifted the orange juice from the table and tossed it to Russ who grabbed it without spilling a drop. Simon laughed. Especially when Russ shot him the same look. They may be tired, but they were also descendants of two knights of the Round Table. Their reflexes were beyond anything Simon could have imagined even six months ago. He had the same reflexes, which is good because they helped him catch the cup that was just aimed at the back of his head. Eric and his dim bulbs huddled together near one of the fires, warming themselves up. Eric was disappointed that his missile didn’t find its mark but he managed to chuckle as his buddies slapped him on the back. Simon put the cup down on the table and turned his back on the smirks. Eric didn’t like that one bit. He lifted another cup to throw. But right as it left his hand, it turned back around mid-air and dumped juice on his head. When the cup started slapping him on the cheeks everyone knew what was going on. Or who was going on. Simon turned to the door to watch her walk in, bat held high and aglow with a sickly green haze. She smiled as Eric ran out of the room slapping at his own face to get the liquid off. Everyone at Eric’s table started to make a face. They covered their noses and fled out of the dining hall. “That wasn’t juice you just dumped on his head, was it?” Simon asked. “Juice? Where’s the fun in that?” Maille said. But the smiles didn’t last. Maille cringed, realizing her mistake a minute too late. Ms. Morecraft emerged from the kitchen, roller held high. “Sorry, Ms. Morecraft!” Maille shouted. “I’ll clean it up.” Simon had never seen Maille so scared before. He almost smiled but caught himself. He liked having all his limbs. “Yes, ma’am. Just… gimme a minute…” Maille was trying to think of the right spell while having a 300 pound woman looming over her with a kitchen tool that could knock her head off. It wasn’t easy but after a moment, her silently moving lips started a quiet chant. With no fireworks or fanfare, the stink began to lift from the room, replaced by roses. Two mops and a cloud of towels floated from the kitchen and danced about the area where Eric had stood. They scrubbed at the spot with such ferocity that nearby kids covered their ears from the noise. 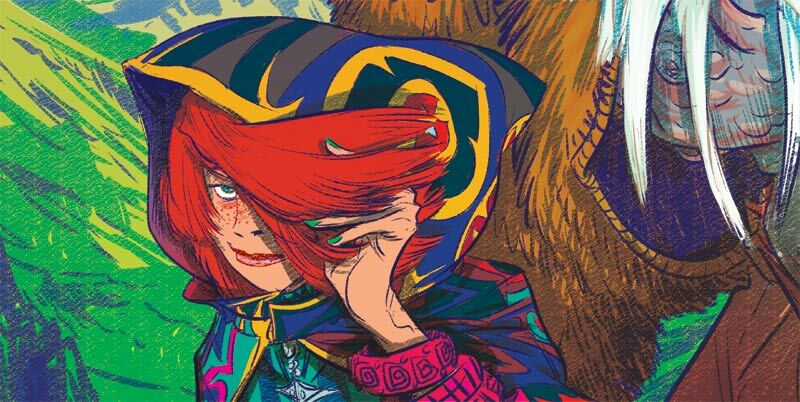 Maille gave Ms. Morecraft a friendly wave, but the elder crossed her arms and gave her an eye. “So… what are you guys up to?” Maille asked, hoping to salvage some kind of dignity. “We were enjoying a nice conversation with the Dim Bulbs before you interrupted,” Simon said. Maille sat down and pulled up a bowl and slopped some porridge in. “What’s wrong?” Simon asked. “Besides being humiliated in front of everyone, that is,” Josh interjected, without thinking. Maille frowned at him and he tried to cover the awkward moment with a smile. When she stared into her bowl again, he thought he’d slipped out of trouble, but the snake he was holding used to be a fork so he was wrong. “You’re joking, right?” Simon said. “He’s throwing food at people?” Sam, a new recruit, was acting up recently. Simon had taken him under his wing. He knew how hard it was to adapt to life in New Camelot. But he was being a real jerk these days. Maille nodded and took a big bite of porridge. Simon put his sword on the table and stormed out of the dining hall. If he’d bothered to look back he’d have seen Maille smile and wink at the boys. Simon ran through the castle, moving swiftly past the morning crew as they prepared the castle for another busy day. He tried to be polite to everyone who greeted him, but he was focused. He was getting tired of babysitting. It had gotten to the point where Sam sapped the energy out of everyone around him. Simon was determined to teach him a lesson. He didn’t know how but he’d figure it out when he got there. The crowd erupted in cheers when they saw him, smiles on every single face. The noise hit him so hard that Simon had to take a step back. As did the feeling. The feeling of joy and love and belonging. It swept over him and gave his spine a jolt that moistened his eyes. Maille, Josh, Russ and Sam stood beside him. They took turns patting him on the back and Maille even gave him a hug. A thought shot through his head like a splash of cold water. But the answer to that question came with the dimming of the din. Simon cleared his throat to thank everyone. When he looked down on his home he saw Gwen standing on a small platform in front of the crowd. She smiled up at him and waved. He waved back and she turned to conduct the loudest rendition of Happy Birthday To You he’d ever heard. Oh, and this is a favorite around the house because I am, indeed, known for twisting away from expectations all the time and then using those expectations against you. 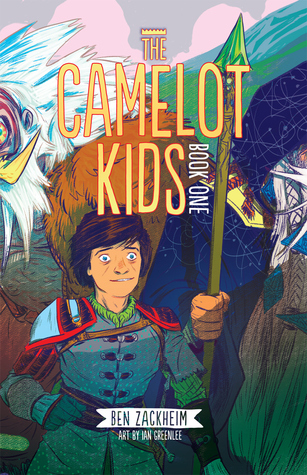 Here’s the newest giveaway for The Camelot Kids! 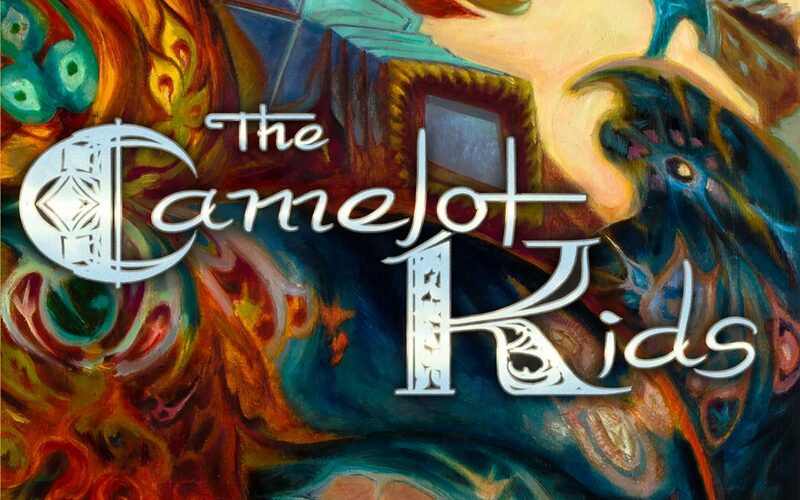 Click on the button above and enter to win the softcover book that collect The Camelot Kids Parts 1-4.